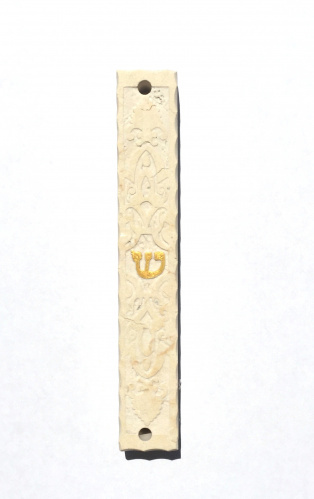 Stone mezuzah case made out of Jerusalem Stone from Israel. The Shin is painted gold. Back of the mezuzah case has double stick tape and there are holes for nails, too. Measures 1" L x 6"H. Made in Israel.